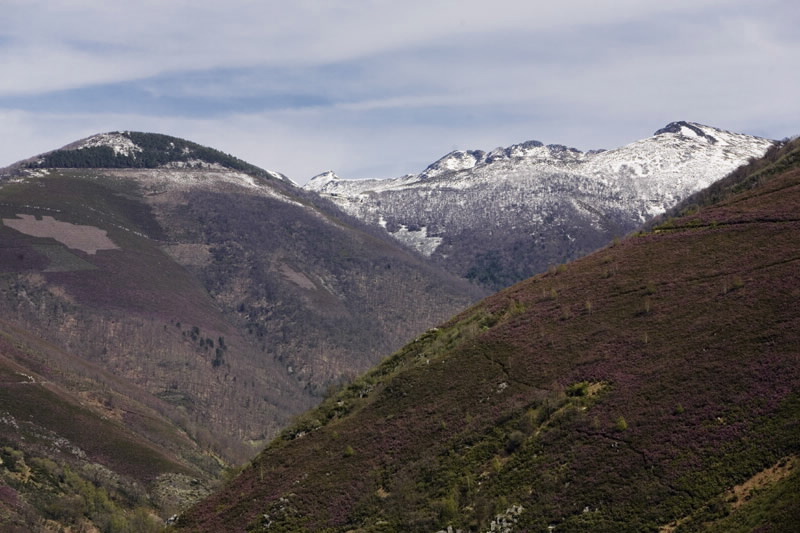 Ancares is the original name of the river which has given its voice to the magical mountains between Galicia and León. It exerts its magnetism from afar, pinned to horizons at about two thousand metres. One enters them, with admiration and respect, along roads that go towards the peaks, anchored to deep, narrow valleys. 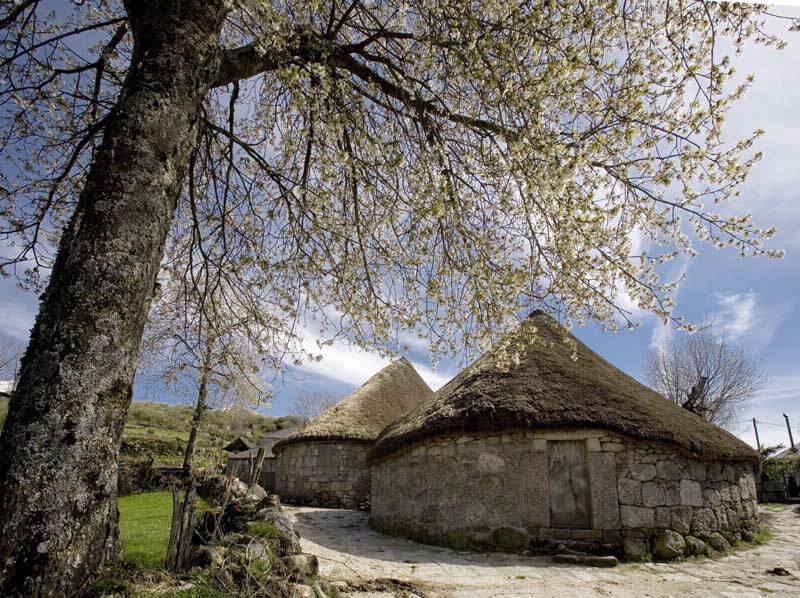 In the highest villages we discover the pallozas, ancient circular constructions with pounded straw roofs. Their curved but majestic forms are inspired by the summits of the smooth and wild mountains. The rivers that descend from the Galician side all flow into the river Navia, that completely encircles the protected space in the west, and takes the waters towards the Cantabrian Sea. 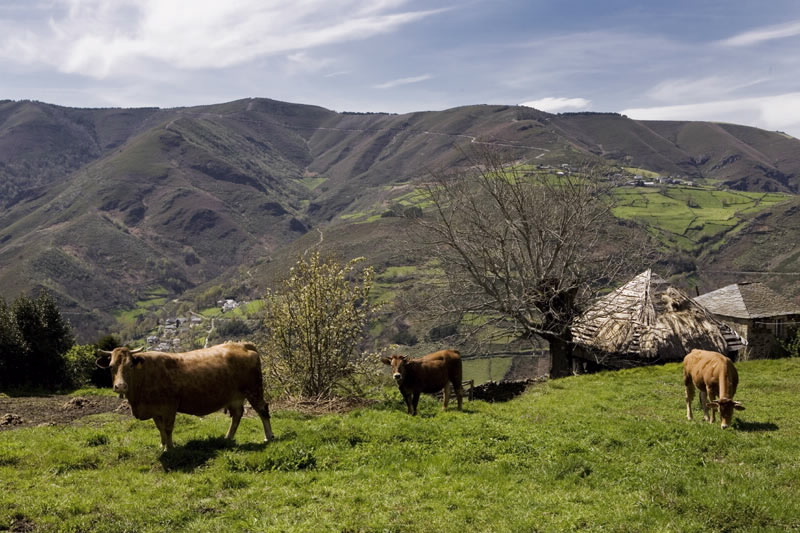 A good example is the beautiful valley carved out by the river Ser or the gorges of the river Rao, in the municipality of Navia de Suarna. The Leon side, on the other hand, flows south, into the Sil Basin. 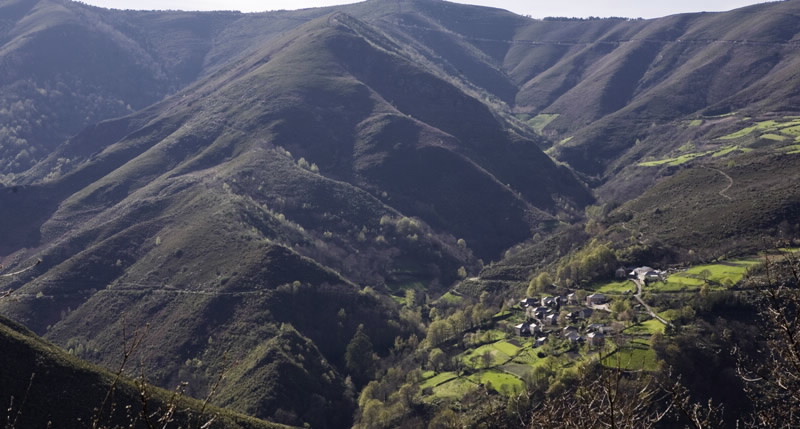 The declaration of Os Ancares as a biosphere reserve in Galicia and Castilla and León, involved their incorporation as units of the Gran Cantábrica, a whole sequence of natural spaces of great environmental value in the north of Spain. The brown bear, its most famous symbol, also uses this Lugo region as part of its territory. A-6 highway and N-VI to Becerreá. The LU-722 road communicates with A Proba in Navia de Suarna, with the main turnoffs to the mountain range. It is in the province of Lugo, bordering León. 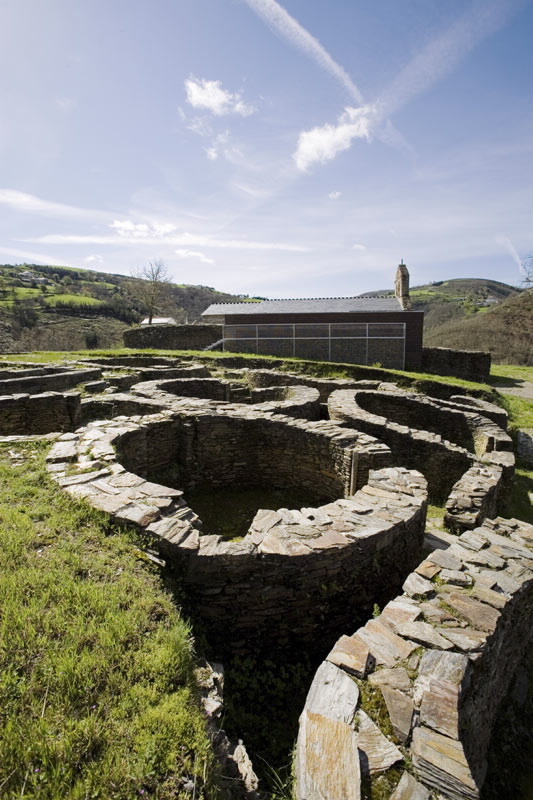 It includes Cervantes and Navia de Suarna and part of the Becerreá municipality. 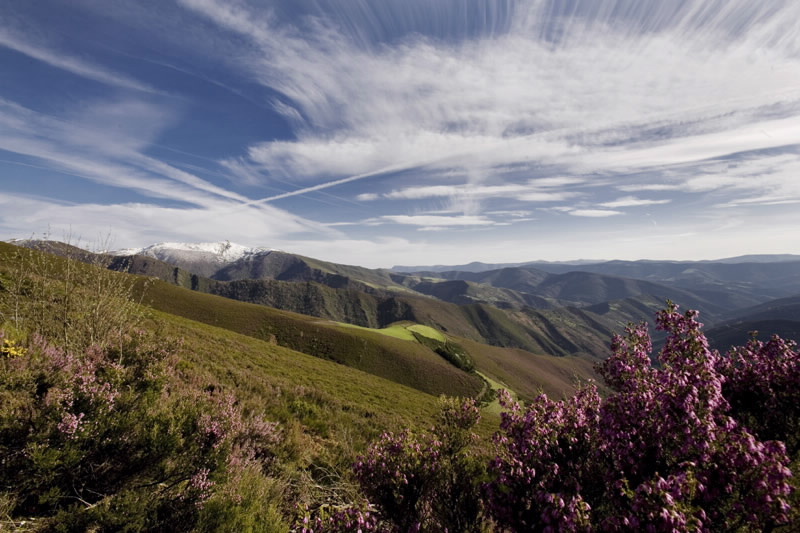 The Lugo Os Ancares: 53,664 hectares. 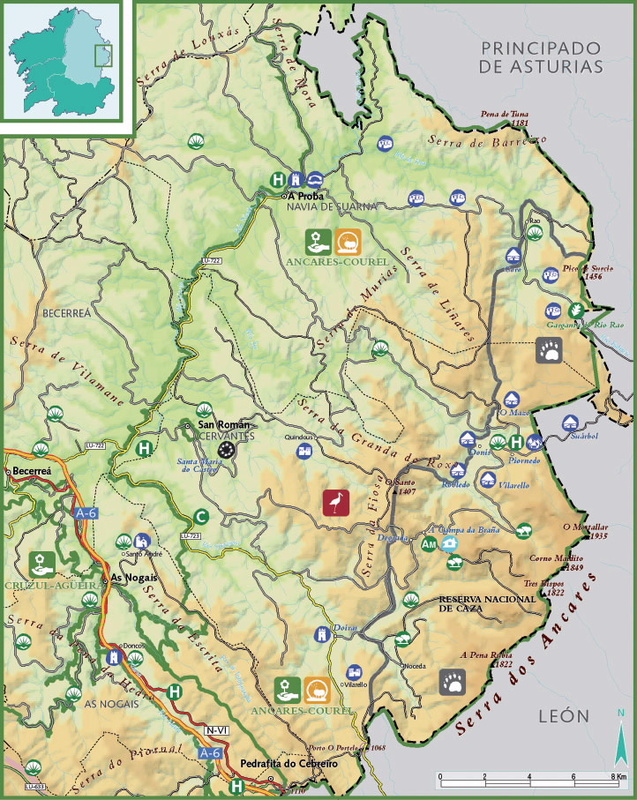 The Leon Os Ancares: 56,786 hectares in the municipalities of Candín, Peranzanes, Vega de Espinareda and Villafranca del Bierzo. The main access route to Os Ancares starts from the town of Becerreá and goes to Liber, where there are three possible routes by secondary and local roads. Towards the north, following the course of the river Navia, we reach A Proba, the capital of the municipality of Navia of Suarna. 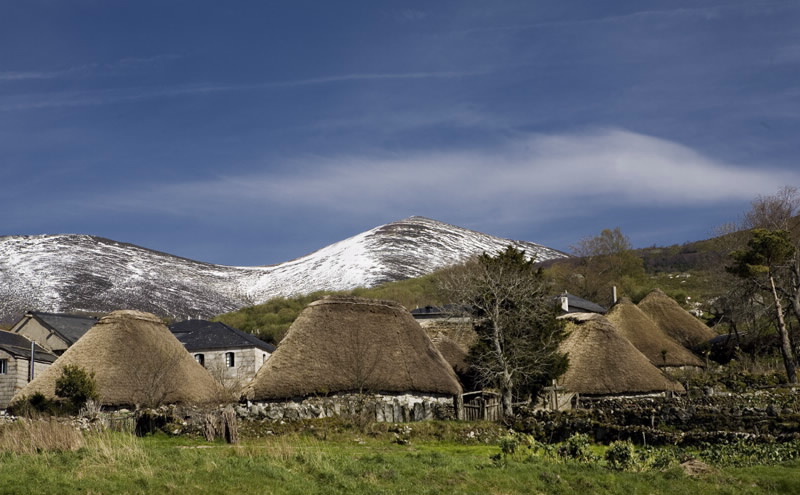 The town has an extensive cultural and artistic heritage represented by the picturesque design of the medieval castle and the one-arched Roman bridge built in slate. But outstanding also are the twenty five castros which still exist, like those of Cantón and Cabanela, united by a 300 metre corridor; four burial mounds; the high settlements that were old summer residences in high areas like Bismor or Tesón; "cortíns" or "alvarizas" around beehives to protect them from bears and pallozas (ancient circular dwellings). The second route going south from Liber takes us to Degrada, either via the municipal capital of Cervantes in San Román, or via Doiras and its castle, impregnable because of the strength of its stone construction and its location on a hill above the river, and of difficult access. The privately owned castle is also famous in literature because of the legend of the womanhind, daughter of a poor man who was bewitched by a Moor (a recurring character in Galician popular mythology) and tragically. The youth hostel of OS Ancares and the Interpretation Centre are in Degrada. From here starts the route on foot, of medium-high difficulty, which leads to the Campa de Tres Bispos (1,795 m). However, the most used route continues up the winding road to the village of O Piornedo. A visit to the pallozas is a must. These are ancient circular dwellings which were inhabited until the 20th century. Some are open to the public as museums of the past, well-guarded in the family memory of their owners. Scrub covers much of the eastern slopes. Large bushy colonies, of importance for their production of berries such holly berries and blueberries. Chestnut groves and oakwoods abound. Among the fauna a mention should be made of the emblematic species which are not found in other parts of Galicia, including the brown bear and the capercaillie, last seen here, in this region. Wild boar, roe deer, deer and rabbits abound.